Grammy award-winning duo The Chainsmokers will again play Nova’s Red Room at The Espy in St Kilda on Friday, 22 February. The performance takes place ahead of their headline set at Ultra Australia at Flemington Race Course the following day. The pair will play some of their biggest hits including ‘Closer’, along with tracks off their album Sick Boy, which has generated over 1 billion worldwide streams to date. As always, industry guests will get to experience a live performance of their latest hit ‘Who Do You Love?’, a collaboration with 5SOS. Fans will get the chance to win their invite by listening to Smallzy’s Surgery and online at novafm.com.au from 11 February. 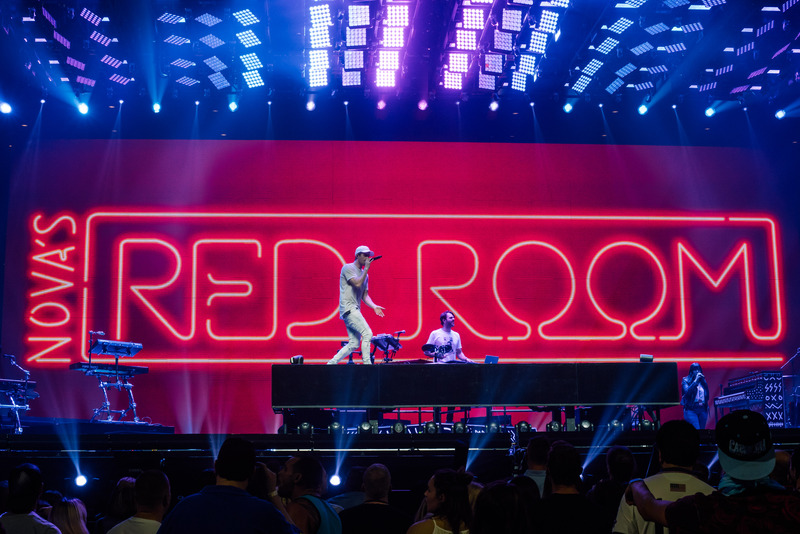 The Chainsmokers first performed for Nova listeners on Nova’s Red Room Global Tour in June 2017. The duo kicked off Australia’s biggest music and travel experience, performing for Nova competition winners in Rhode Island USA. Nova’s Red Room is Australia’s premier intimate live music platform that provides money can’t buy experiences with the world’s biggest artists. Established in 2012, over 200 artists have performed in Nova’s Red Room including Harry Styles, Miley Cyrus, Gang of Youths and P!NK.